Self-guided and self-powered planes started with NASA, which began working with the team behind the the manned Solar Challenger plane that flew across the English Channel in 1981. 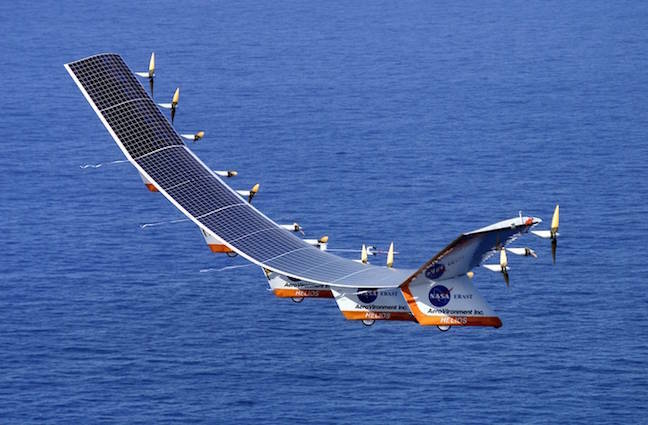 By 1994, NASA’s Pathfinder aircraft had demonstrated solar panels were able to power aircraft to high altitude. But the planes still needed a power source at night. Batteries at the time were too heavy so the NASA engineers turned to hydrogen fuel cells, which they integrated into their Helios prototype, aiming to demonstrate round-the-clock operation. More importantly, it can fly for potentially months on end without the need for refuelling. So far it has only flown for 14 days straight but, theoretically, the only limit is how many times the battery can charge and discharge before it degrades. To enable this, the craft has overcome the crucial challenge of generating and storing enough power to both keep it continuously aloft and run its cameras and communication equipment. Another significant development that has helped make these planes viable is the improvement in energy storage technologies, enabling them to save power generated by the sun in the day for use at night. Modern lithium sulphur batteries are able to store 60% more energy per kilogram than the lithium polymer batteries available ten years ago. About 40% of the weight of the Zephyr 8 is the battery array. This means that improving the energy density (how much energy it can store without adding to weight or volume) can have a dramatic impact on the performance of the whole craft, ultimately enabling it to carry more equipment. 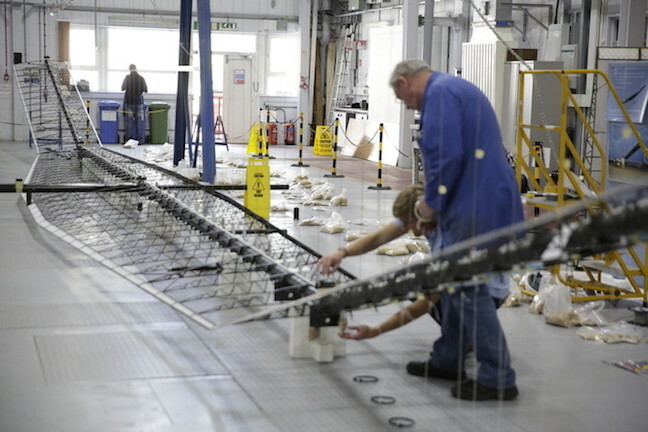 Other advances include the artificial intelligence that guides the craft, the sensors that gather data on the surrounding and continually changing weather, and the carbon fibre composites used to build the plane. Although the raw materials used are the same, new manufacturing processes that better control the direction of the carbon fibres and use less plastic resin to hold them together have made the overall structure lighter. About the author Richard Cochrane is Senior Lecturer in Renewable Energy, University of Exeter.